HUGE $250,000 Reduction- OWNER SAYS SELL-ALL TRADES SERIOUSLY CONSIDERED THINKS ITS HIS III has been extremely well maintained by a knowledgeable owner. She is a like new vessel with low engine hours and under FACTORY WARRANTY. THINKS ITS HIS III is a 65 Sunseeker Manhattan designed and built to offer the same basic layout as the larger 75 Yacht but in a more owner//operator friendly size. She was built to U.S. Specifications for the U.S. Market. When you first board THINKS ITS HIS III you will notice her beautifully laid teak decks, high gloss cockpit table and fully opening main cabin entry door. Her layout flows seamlessly from cockpit through the main salon all the way forward past the dinette and galley to the lower helm station. The Salon boasts (2) large sofas, coffee table and Hi-Lo HD TV to port.The galley is to starboard and is equipped with everything needed for a trip to your favorite island destinations including Range top, convection oven, refrigerator/freezer, wine coolerand Miele Dishwasher. The interior of the vessel is finished in a modern combination of American Black Walnut, white carpeting (with runners), LED lighting and dark countertops. THINKS ITS HIS III has a 4 Stateroom and 3 Head Layout (plus crew). The Master Stateroom is mid-ship and runs full beam. Offering HUGE oversized windows natural light pours into the room. All windows are covered with tasteful wood grained shades. The master bed is placed on center with a chest of drawers to port and settee to starboard. To port there is also a walk in closet with mirror giving this 65 Yacht a ton of storage space with ample room for even the longest trips. She has also been fitted with a 40" Samsung LED TV. The VIP Stateroom is forward with a centerline bed, hanging lockers, drawer storage under bed, Samsung television and En-Suite head with shower. She has (2) opening portholes and over head deck hatch to bring tons of natural light into the room as well. In your two guest cabins you will find one is fitted with 2 twin berths, night stand, en suite access to shared guest/day head, Samsung tv and hanging locker. The final guest stateroom is to port with over/under twin bunks, Samsung TV and hanging locker. Head is shared with hall access. Finished with the vessel interior you will make your way to the Bridge Deck. This is truly one of the best bridge layouts for any vessel in her class and she is equipped with a large Hard-Top.There are two separate settees on the bridge deck, both are U-Shaped. There is also a high gloss table for al-fresco dining. Wet Bar equipped with refrigerator, ice maker and electric grill makes for easy entertaining and no need for unnecessary trips to the main galley. Deck is finished in teak. At the upper helm you have dual helm seats with bolsters, (2X) Simrad touch screen plotters. Extremely easy to operate with her latest in navigational equipment including Radar, GPS, Chart Plotters and bow thruster as well as cameras accessible through the Simrad Screens. Whether taking an Intra Coastal cruise or making your way through the Bahamas THINKS ITS HIS III certainly has the functionality to get you there in comfort and with her modern finishes will have you looking good as well. Her crew area with transom access will alow you to either navigate alone or comfortably bring along 2 crew members. Her hydraulic platform makes for easy loading and unloading of your tender or jet ski and her STABILIZERS only add to her comfortability whether underway or on the hook. If you're in the market for a 60'+ motoryacht the THINKS ITS HIS III is certainly a must see vessel and will not disappoint. 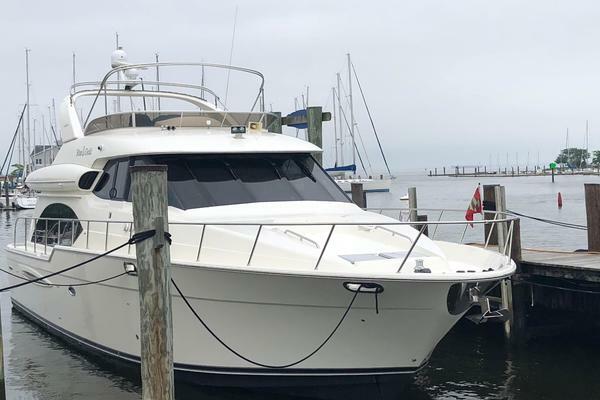 United Yacht Sales New Jersey would love to guide you through a personal showing of this 65' Sunseeker Manhattan 65 2016. 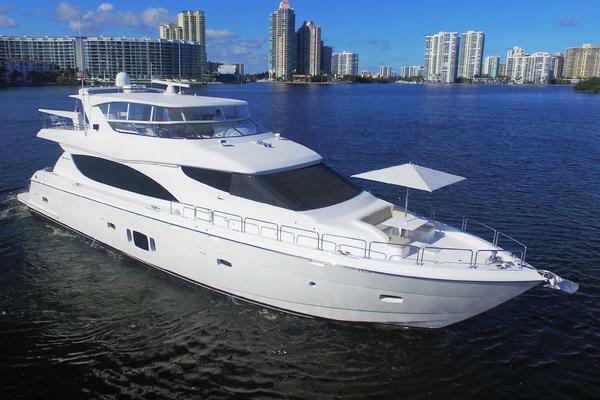 This yacht for sale is located in North Miami Beach, Florida and priced at $2,249,000. For a showing please contact us by filling out the form on this page and we will get back to you shortly!